Sealy & Company Case Study, G & W Service Co.
Sealy & Company acquired its first property in Houston in 1967 and has since grown from one building on Edwards Drive to a portfolio in excess of 2.5 million square feet of industrial product with 42 buildings strategically located throughout the Greater Houston Metropolitan Area. The Houston portfolio consists of flex service centers along with semi-dock and dock high distribution facilities, with leasable spaces ranging from 1,000 square feet to 200,000 square feet. G&W received a phone call one summer Monday morning from Sealy & Company, one of its property management clients in reference to several of their buildings that had the roof top package units vandalized over the weekend. 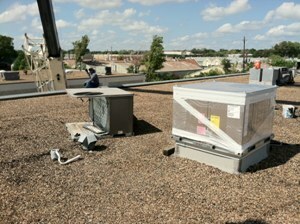 Upon arrival G&W found that 13 roof top package units without condenser and evaporator coils. NO COOLING!!! 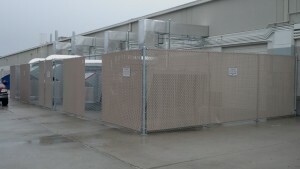 G&W was asked by Sealy & Company to replace the vandalized units. G&W’s team sprung into action, locating and delivering all 13 units to the jobsite. Our field technicians worked into the night replacing all the units and finishing the next morning. G&W replaced 13 vandalized units, kept our customer and their tenants cool and working at their places of business without any interruptions. 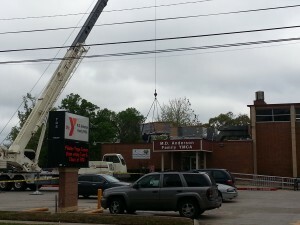 YMCA Case Study, G & W Service Co. 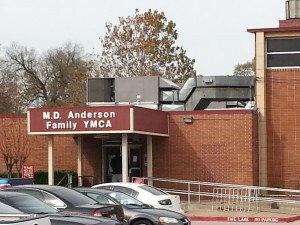 The YMCA of Greater Houston, a private, nonprofit, 501(c)(3) charity, is a leader in providing services that enrich the lives of children and families, offering early childhood and youth developmental programs, child care, health and wellness services, programs for seniors, job training and more, while offering need-based financial assistance with 37 local facilities. 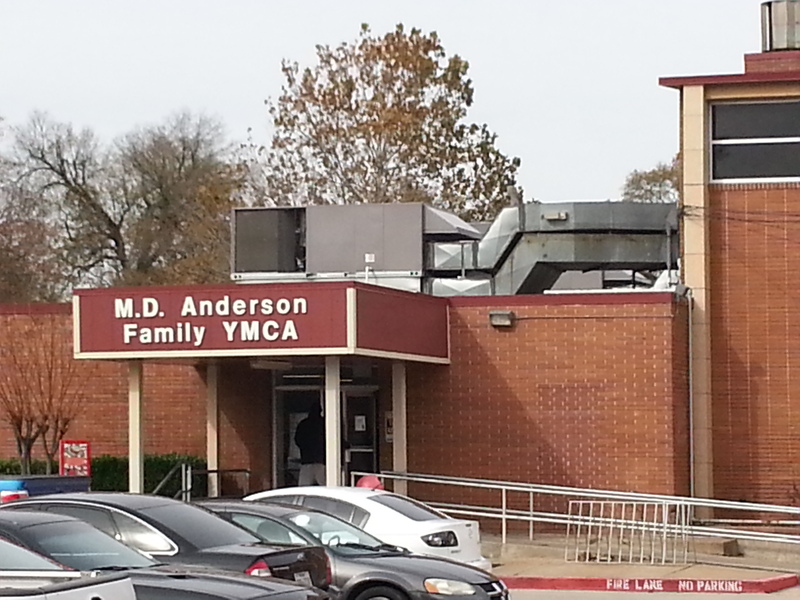 G&W was called out by the YMCA to the MD Anderson facility located at 705 Calvacade for a no heating and cooling call on their large 17.5 ton gymnasium roof top package units. Upon inspection of the equipment it was determined that an electrical fire in the front units control panel had occurred, thus rendering the unit inoperable. 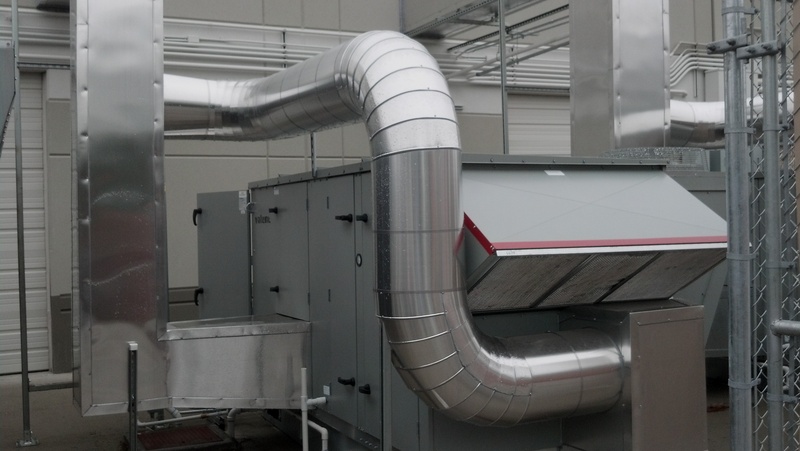 This particular roof top unit was built and installed in 1988, making the needed parts obsolete. G&W was asked by the YMCA to replace the two existing gymnasium units with new 20 ton roof top package units with electric heat. 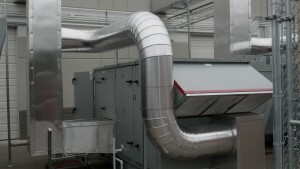 This also included fabrication of the needed custom roof curbs that unit units would set on and also serve as a supply side discharge duct, a 150 ton crane supplied by TNT Crane and Rigging Company, connecting the new units to the existing supply and return air ductwork on the roof, reconnect the electric and condensate drains all to City of Houston codes, reconnect the controls into the YMCA’s control system. G&W replaced two outdated and underperforming units with brand new energy efficient equipment, stayed on budget and on time, and kept a great customer and their clients happy. Restaurant Case Study, G & W Service Co.
Warwick Construction Inc. Warwick Construction, Inc. is a national general contractor specializing in retail and commercial construction. Warwick is licensed in all 50 states and Puerto Rico. 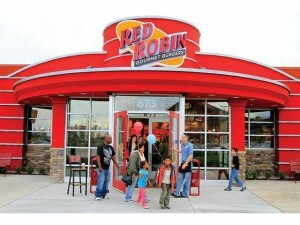 Clients include most of the nation’s large and mid-size retailers and developers. They were founded in Houston, Texas in 1999. 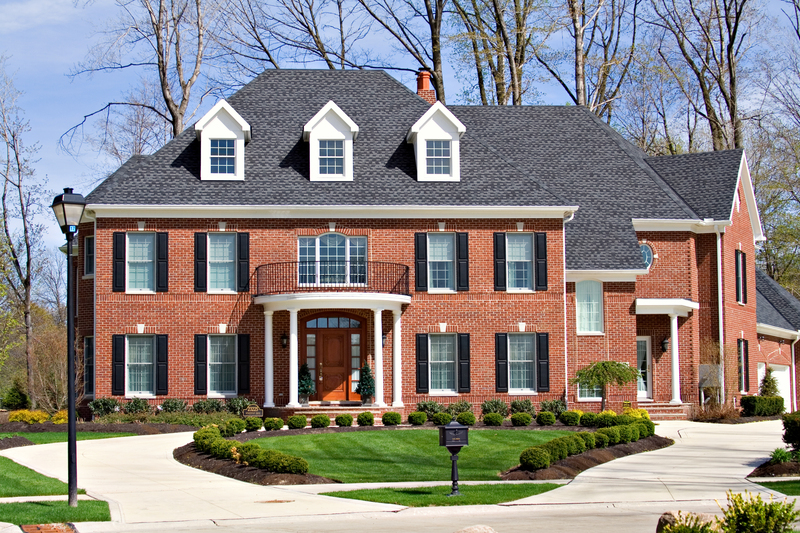 G & W Service Co. prides itself on providing solutions and quality repair to commercial construction companies all over the Houston area. Here’s an excellent example of the quality of our work. 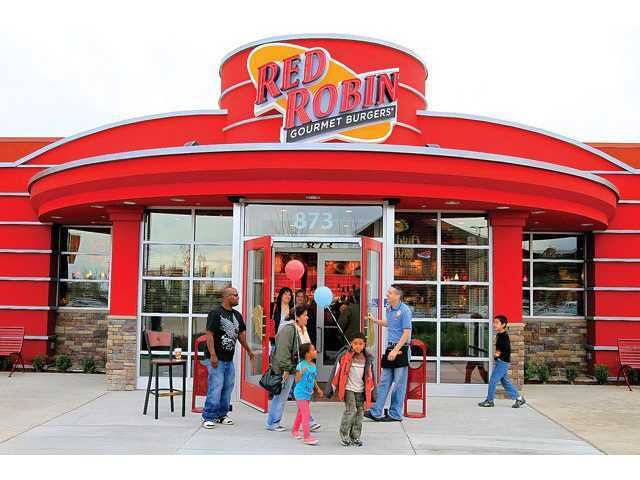 Warwick construction had just finished building a Red Robin Restaurant in Katy Texas, after construction was completed the overall restaurant was not staying cool in the dining room or kitchen area. Temperatures were above 78 degrees and in the kitchen area it was up to 90 degrees. After struggling with the original installing contractor, and 5 other commercial contractors, Warwick made some calls around Houston for better help. The G& W Service Co. name kept coming up and when they called us they were looking for a quick solution, the owners of this store were very frustrated. 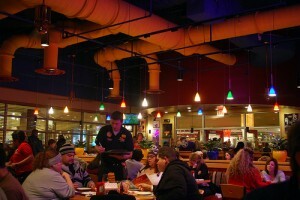 We were contacted to resolve the ongoing issues with of all the HVAC, exhaust and ventilation in the building. Addressing all the issues was a step-by-step process, confirming that all the correct equipment was installed and design properly, HVAC units, exhaust system/ makeup air for the kitchen cooking hoods/ dishwashers and restrooms, all engineering was correct, the next step was to set all HVAC units up properly, properly tap the transformers on the units (5 other contractors and the installer missed this! ), Set the correct RPM on the blower assay with electronic tachometer and confirm static pressures, set fresh air on each unit per manufacture design, re-installed original pulleys and belts to achieve original airflow as per blueprints when the store was engineered. Next, we set the Freon levels for each HVAC unit, they had been over charged causing poor performance which diminishes capacity to cool the building properly, The exhaust and makeup air systems for the kitchen equipment had similar issues, too much exhaust leaving the building and not enough makeup air coming in the balance the store for proper cooling. The Conclusion: The Restaurant has never cooled this well since it was opened, the dining room is now steady at 71 degrees and the kitchen is at 76-78 degrees as designed. 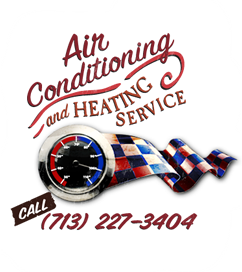 Warwick Construction hired a true service company that understands HVAC, G & W Service Co. uses properly trained technicians with the proper tools, instruments, with an office support team that puts it all together. Having the experience and knowledge of the HVAC field with ability to put it all together is our biggest success in Houston Texas since 1958.